Spiritual Home Of Rastafarians Not Enamoured By Cannabis Legalization. Canadians & Israelis Sent Home With Tails Between Their Legs ? Reports of consultative the meeting between local communities in Dembecha Woreda, West Gojam Zone of the Amhara Regional State, and investors who have said will open a Cannabis factory in the locality has created a massive backlash among the online community in Ethiopia. The meeting which was first posted in the local administration’s communication office and circulated in the virtual world has become a bone of contention among commentators towards end of the weekend. Following the news, many have expressed their anger and protested against the proposal to open the factory in the area, arguing it will bring harm to the general public. The meeting which took place in Demebcha was initiated by a company called Africana Cannabis Holding, a joint venture company between Ethiopian and foreign investors from Canada, The Reporter learnt. The company has been asking the Ethiopian government to get an investment permit to open the factory which will produce Cannabis end to end: from farms to semi-processing. “The Ministry of Health’s position regarding the growing cannabis for Medical purposes in Ethiopia has neither been recognized nor sought by the company and no regulatory approval was given. Previous requests for such investments have been and it will continue to be denied,” Amir Aman (MD), Minister of health (MoH) twitted. The Company has, in fact, reached out to a number of offices including the Ethiopian Investment Commission, the Ethiopian Food and Drug Administration (EFDA) as well as the Amhara Region Investment Office. Later, the Investment & Industry Bureau of the region confirmed to The Reporter that they did not give any license to the aforementioned company and it is not in the first place their mandate to do so. A team of experts from EFDA and MoH has evaluated their request and denied them a permission to invest in Ethiopia, an official from EFDA told The Reporter. 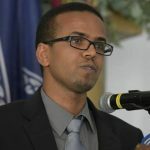 “We wish to inform the investment community that EIC will not issue any investment permit authorizing the growing of cannabis in Ethiopia,” Abebe Abebayehu, commissioner of EIC later twitted. In addition to Africana, a second company from Israel, Kanabo Research was also looking to open a cannabis factory but The Reporter has learnt from local representatives of the company that no license was given to them, so far. “The reason we went to Dembecha is just to have a talk with the local community about the benefits of the investment,”DerejeNegash, one of the investor of Africana told The Reporter. He admitted that no license has been given to them, so far.